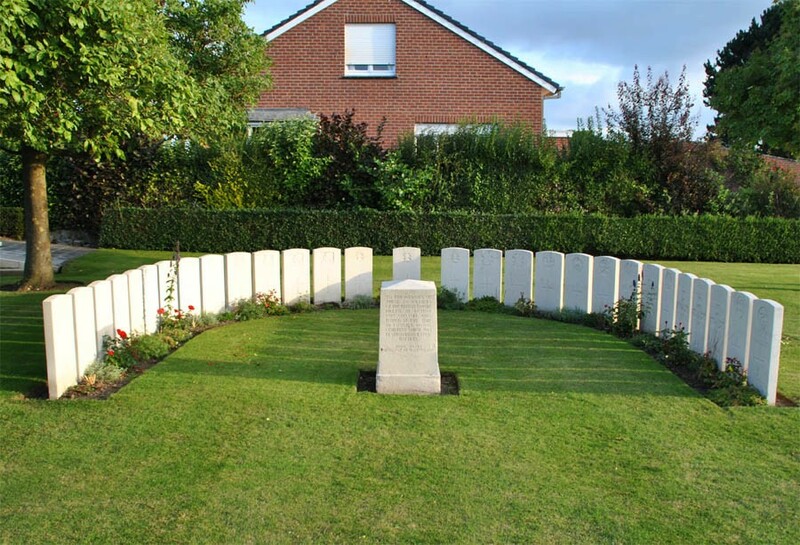 The Duhallow ADS (Advanced Dressing Station) Cemetery is located in Ypres - one of the towns that saw a lot of fighting during World War I. 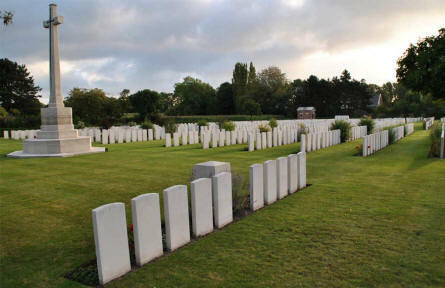 The cemetery holds 1,602 graves of British and other Commonwealth soldiers. One of these graves is from World War II - the rest is from World War I. 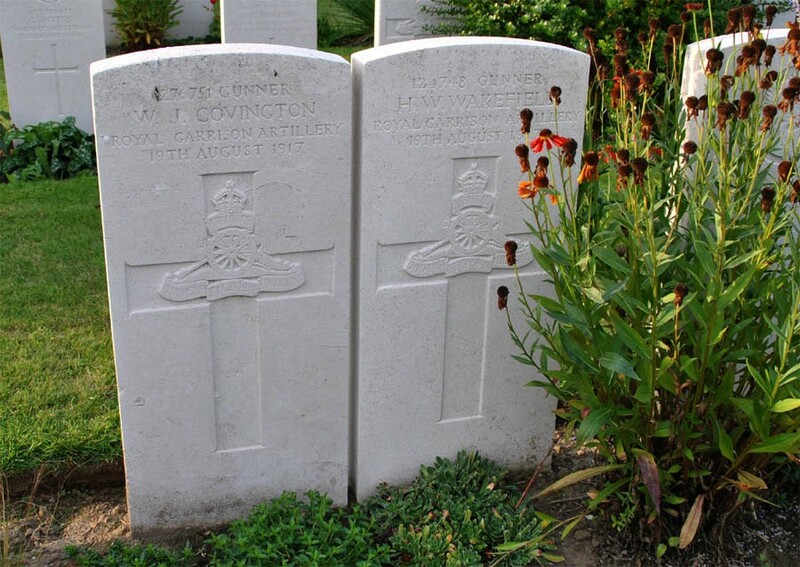 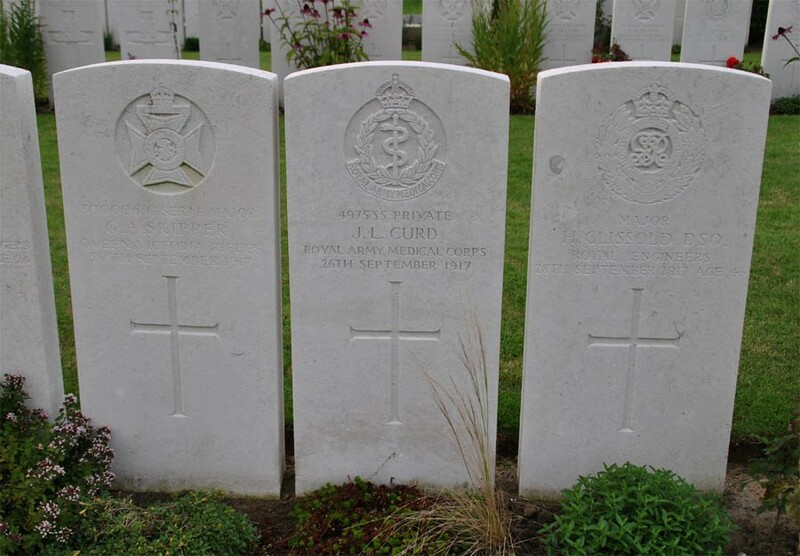 Two graves related to the Royal Garrison Artillery at the Duhallow ADS (Advanced Dressing Station) Cemetery in Ypres. 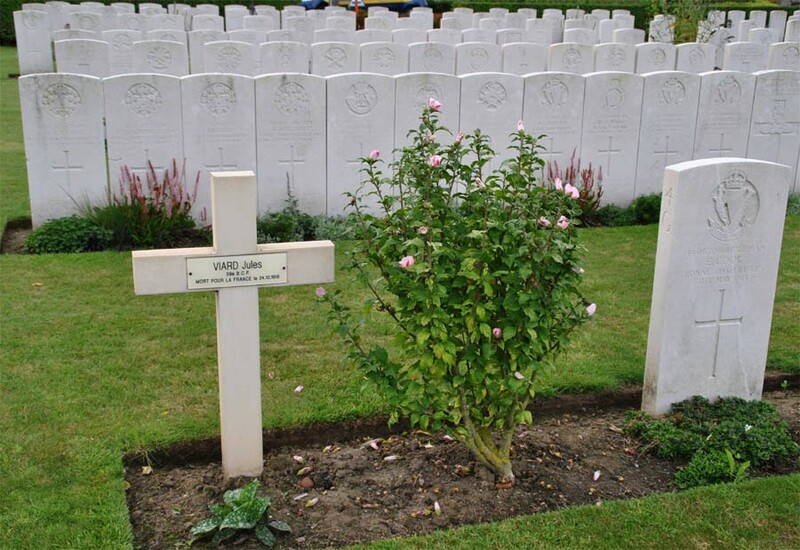 Some of the graves - and the cross - at the Duhallow ADS (Advanced Dressing Station) Cemetery in Ypres. 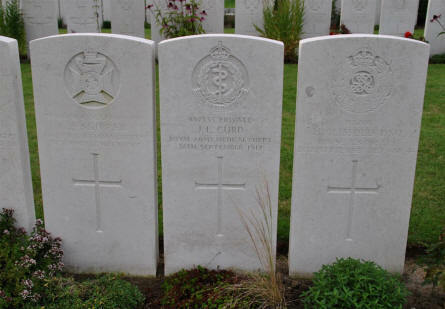 Some of the graves at the Duhallow ADS (Advanced Dressing Station) Cemetery in Ypres. Some of the graves that have been moved from another cemetery to the Duhallow ADS (Advanced Dressing Station) Cemetery in Ypres. The original cemetery (Fusilier Wood Cemetery) was destroyed during at later World War I battles. 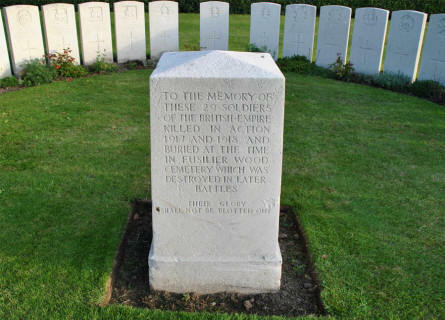 A French grave at the Duhallow ADS (Advanced Dressing Station) Cemetery in Ypres.